Paradise Herbs ORAC-Energy Earth's Blend B-Complex was created. Paradise Herbs ORAC-Energy Earth's Blend Vitamin C was created. Paradise Herbs ORAC-Energy Earth's Blend Vitamin D3 was created. Paradise Herbs ORAC-Energy Earth's Blend Multivitamin was created. Irwin Naturals Mega-B RED was created. Nature's Plus Keto Living Daily Multi was created. Life Extension Vitamin C with Bio-Quercetin Phytosome was created. Life Extension Fast-C with Dihydroquercetin was created. Nature's Bounty Ester-C 24 Hour Immune Support was created. Solaray Super Bio C Buffered was created. Solaray Vitamin C Bioflavonoids was created. Nature's Plus Vitamin C Micro-Crystals was created. Nature's Plus Animal Parade Sugar Free Multi-Vitamin was created. Nature's Plus Animal Parade Sugar Free Vitamin C was created. Nature's Bounty Adult Multivitamin Gummies was created. Nature's Bounty Daily Multi was created. Nature's Bounty B-Complex was created. Nature's Bounty Super B Complex was created. Nature's Bounty C was created. Nature's Plus Brainceutix Multi was created. Solgar U-Cubes Children's Calcium with D3 was created. Solgar U-Cubes Multi-Vitamin & Mineral Gummies was created. Solgar Vitamin K2 was created. Solgar Vitamin K was created. Solgar Vitamin E was created. Nature's Plus Animal Parade Gold Chewables Multi-Vitamin was created. Nature's Plus Animal Parade Gummies was created. Nature's Plus Vitamin B12 was created. 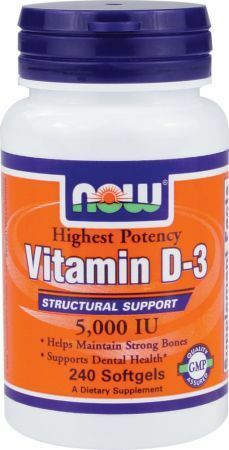 Nature's Answer Vitamin D-3 was created. Country Life Coenzyme B-Complex Advanced was created. Country Life Coenzyme B-Complex Powder was created. Solgar Hy-Bio Citrus Bioflavonoids was created. Solgar U-Cubes Children's Vitamin C was created. Solgar Bio Ascorbate Buffered Vitamin C was created. Solgar Vitamin C Crystals was created. Solgar Vitamin C was created. Solgar B-Complex Stress Formula was created. Run Everything Labs EDD (Every Damm Day) was created. FemmeFit VitaFemme 2-a-Day Multivitamin was created. FemmeFit VitaFemme 21-Day MultiVitamin was created. Nourish & Bloom Multi Plus was created. Nature's Plus Source of Life Adult Gold Gummies was created. Garden of Life mykind Organics B-12 was created. 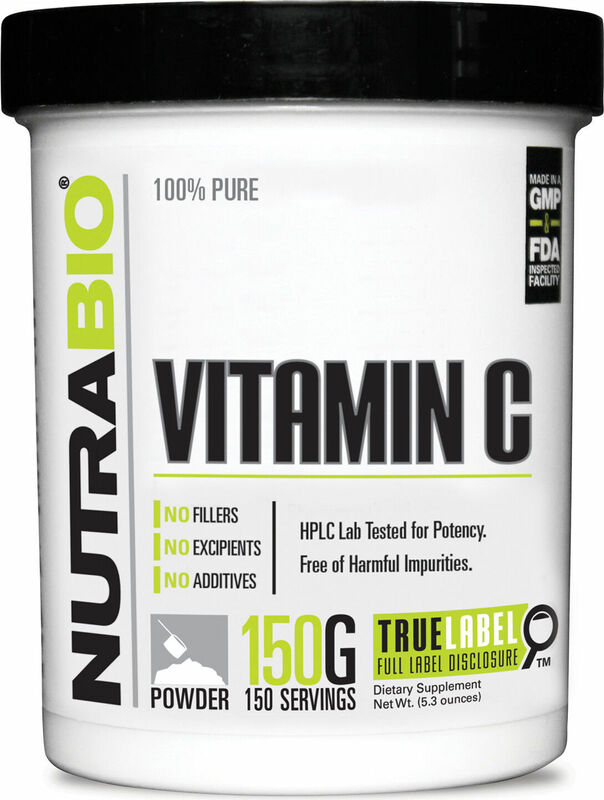 Bodybuilding.com Vitamin C was created. Bodybuilding.com Vitamin D3 was created. The Genius Brand Muscle Builder Ingredient Breakdown! Worth it?! EVLution Nutrition Vitamin D3 was created. Source Naturals Vegan True Non-GMO Vitamin D was created. Source Naturals Wellness EpiCor with Vitamin D-3 was created. Carlson Vitamin D3 + K2 was created. Thorne Research Vitamin D/K2 was created. Thorne Research Methyl-Guard Plus was created. Thorne Research B-Complex #12 was created. Thorne Research Stress B-Complex was created. Thorne Research D-5,000 was created. Thorne Research D-1,000 was created. Thorne Research Neurochondria was created. Thorne Research Vitamin K2 was created. Thorne Research Bio-B12 was created. Thorne Research Meta-Fem was created. Thorne Research D-25,000 was created. Thorne Research Ultimate-E was created. Thorne Research 3-K Complete was created. Thorne Research Pantethine was created. Thorne Research Methylcobalamin was created. Thorne Research D-10,000 was created. Thorne Research Vitamin C With Flavonoids was created. Thorne Research Methyl-Guard was created. Thorne Research B-Complex #6 was created. Thorne Research Basic Nutrients 2/Day was created. Thorne Research Multi-Vitamin Elite was created. Thorne Research Basic Nutrients V was created. 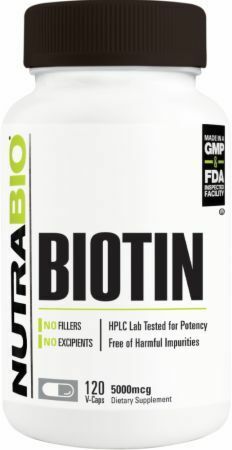 Thorne Research Biotin-8 was created. Thorne Research Basic Nutrients III was created. Thorne Research Basic Nutrients IV was created. Thorne Research Vitamin D was created. Centrum Silver Women 50+ was created. Centrum Silver Chewables Adults 50+ was created. Centrum Chewables Adults was created. American Health Ester-C with Cranberry Immune Health Complex was created. American Health Ester-C Kidsticks was created. Onnit Total Human was created. BuildFastFormula VasoBlitz Review - Nitrate-Based Pumps! Transparent Labs RawSeries Vitamin B Complex was created. Super Nutrition Simply One 50+ Women was created. Solgar Vitamin B2 was created. Solgar Vitamin B12 was created. Solgar Vitamin B-1 was created. Garden of Life mykind Organics - Women's Multi was created. Garden of Life mykind Organics - Women's Once Daily was created. 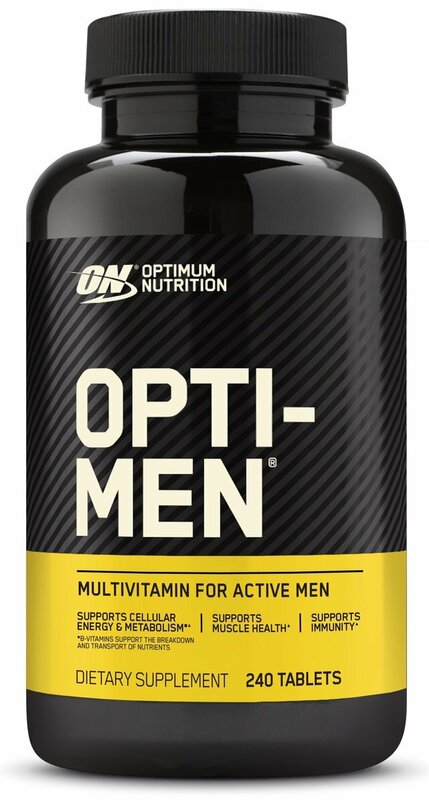 Olympian Labs Vitamin D3 was created. GNC Vitamin K was created. 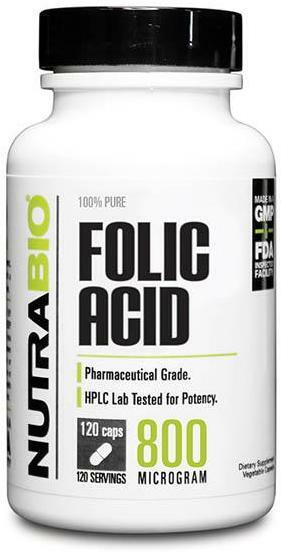 GNC Folic Acid was created. New Chapter Every Woman's One Daily Multi was created. New Chapter Every Woman's One Daily Multi 55+ was created. MRI NO2 Sports Multi was created. Nature's Bounty Vitamin C + Zinc was created. 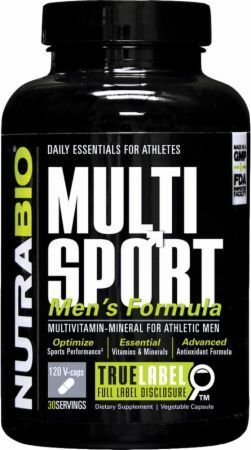 Core Nutritionals Multi was created. USP Labs VitamerPRO was created. 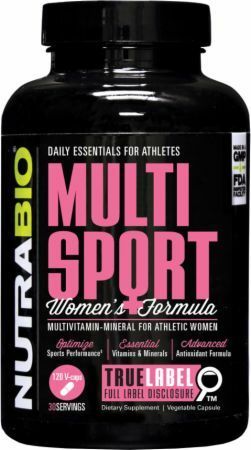 EVLution Nutrition Women's MultiVitamin was created. Muscle Pharm Multi-V+ was created. High Performance Nutrition V(1) was created. 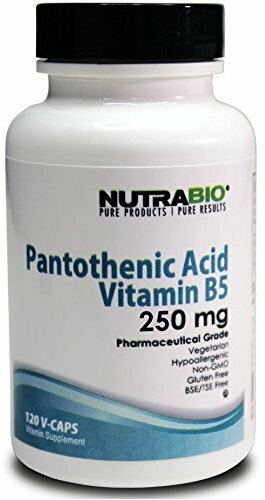 Nature's Way Pantothenic Acid was created. GAT Womens Multi was created. Natrol Daily Fruit & Veggie was created. 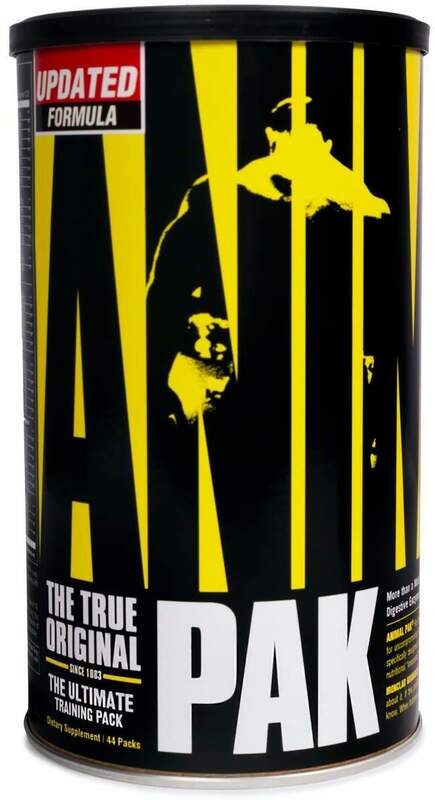 Cellucor Alpha Amino Ultimate is a unique intra workout / BCAA supplement that has Vitamin D and HMB added. Is Vitamin D status what HMB really needs? American Metabolix Life-Line was created. Ronnie Coleman Vita-XS was created. Vitalabs Vitamin B12 was created. Transparent Labs RawSeries Vitamin D3 was created. Solgar Vitamin D3 was created. Solgar Methylcobalamin (Vitamin B-12) was created. RegiMEN Vitamin & Mineral was created. High Performance Nutrition F(1) was created. 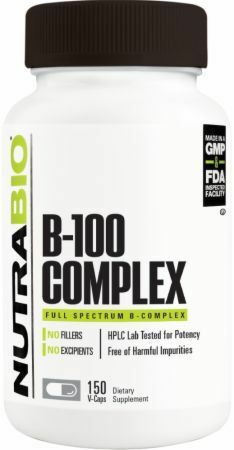 True Performance Nutrition Vitamin B-100 Complex was created. Good 'n Natural Folic Acid was created. Pure Nutrition Daily Vits was created. Eat the Bear Bear Essentials for Her was created. MuscleSport Multi Vita Revolution was created. Bikini Ready Women's Multivitamin Gummies was created. Nature's Way Alive! Liquid Multi was created. New Chapter Tiny Tabs Multivitamin was created. Onnit Active B was created. Onnit Vitamin D3 Spray was created. Onnit Total Primate Care was created. Revolution Nutrition Vitamin Cooler was created. Genius Heart & Cardiovascular is a unique heart health supplement that supports optimal heart and cardiovascular function using potent ingredients. Nordic Naturals Postnatal Omega-3 was created. Superior Source Children's D3 was created. Superior Source Vitamin D3 was created. Amazon Vitamin K2 was created. Nature's Plus Source of Life Garden Women's Once Daily was created. Nature's Plus Source of Life Garden Women's Multi was created. Solaray Multi-Vita Mega-Mineral was created. 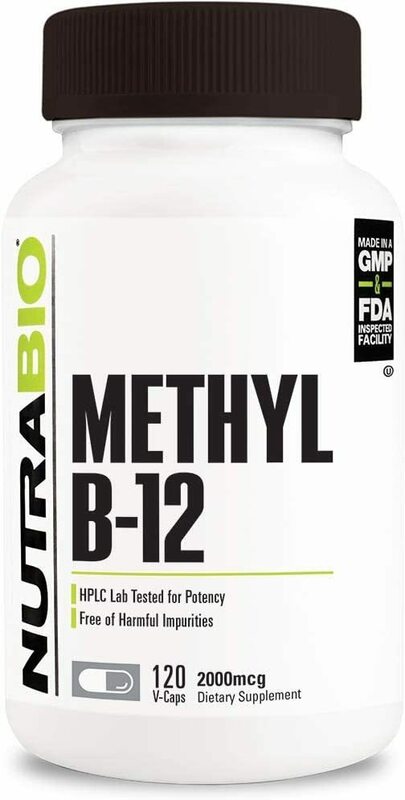 Carlson Methyl B-12 was created. Carlson B-50 Gel was created. Solaray Methyl B-Complex 50 was created. Carlson E-Sel E + Selenium was created. Nature's Way Vitamin A & D was created. KingFisher Media Vitamin D3 was created. KingFisher Media Vitamin B12 was created. GNC Ultra Mega Green Women's was created. Nature's Plus Ultra II Light was created. Nature's Plus Ultra-C was created. Nature's Plus Source of Life Adult's Chewable Multivitamin was created. Rainbow Light Just Once Active Adult 50+ was created. Hero Yummi Bears Organics Complete Multi-Vitamin was created. Hero Slice Of Life Organics Complete Multi was created. Hero Slice Of Life Organics Adult Energy B12 was created. Nature's Plus Source of Life Garden B-Complex was created. Nature's Plus Animal Parade VitaGels was created. Nature's Plus Animal Parade Gold Liquid was created. Nature's Plus Animal Parade Kid Zinc was created. Nature's Plus Source of Life Garden Vitamin B12 was created. RedCon1 BOOM STICK Brings Some Serious Wood! RedCon1 is back with their natural testosterone booster Boom Stick that's packing over 3g of D-Aspartic Acid and 3,000IU Vitamin D! Country Life Beyond Food Multivitamin & Mineral was created. Country Life Max for Women was created. Natural Vitality Calm Kids was created. Nature's Essentials Vitamin D3 was created. Nature's Essentials Cyclo-C was created. Nature's Way Alive! Daily Energy was created. Nature's Way Alive! Women's Energy was created. Giant Sports Giant Keto Review - BHB Supplements WORK! iForce SwoleMate is the latest innovation from iForce Nutrition that's much more than another copycat BCAA intra workout supplement. Advanced Molecular Labs Muscle Growth is an effective and unique post workout supplement to speed recovery, build muscle, and halt soreness. 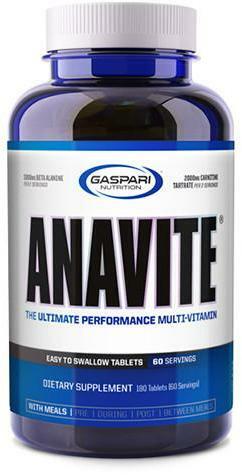 Gaspari Anavite is one of the premium quality multivitamins that offers something more than your everyday multi, including beta alanine and carnitine! Follidrone 2.0 by Black Lion Research: Huge Natty News! Follidrone 2.0 is follow up to Black Lion Research's powerful natty muscle builder Follidrone that is loaded with epicatechin and more! A big fruit and vegetable diet meta-analysis confirms what we've always known: eating fruits and veggies causes you to live longer. Choice is yours! USPLabs MaxREPS – Pumps on top of PUMPS! MaxREPS from USPLabs is a new stimulant free pre workout that will give your pumps, pumps! Cellucor CN3 – Nitrate Powered Creatine! Cellucor CN3 is the latest addition to Cellucor's G4 Chrome series of supplements geared towards its advanced users. Are you ready for the pumps? Banana Water: The Next Flavored Water Fad? Banana Water: Is this the next big thing? It's similar to coconut water in terms of nutrition, but some will say it tastes WAY better! Find out here! Vita JYM is Dr. Jim Stoppani's answer to multivitamins. Keep reading to find out what makes it so different: good ingredients in, bad ingredients out! The FDA sent warning letters about steroids in Vitamin B pills by Healthy Life Chemistry by Purity First and Mira Health Labs. Was this preventable??? Sign up for future Vitamin news! Click the button below to sign up for future Vitamin news, deals, coupons, and reviews! Sign up for future Vitamin deals and coupons! Click the button below to sign up for future Vitamin deals, news, and coupons! Oct 23, 2018The Genius Brand Muscle Builder Ingredient Breakdown! Worth it?! Aug 06, 2018BuildFastFormula VasoBlitz Review - Nitrate-Based Pumps! Jun 27, 2017Giant Sports Giant Keto Review - BHB Supplements WORK! Subscribe for more Vitamin news and alerts! Subscribe to PricePlow on YouTube or click the button below to sign up for our latest Vitamin news and reviews! 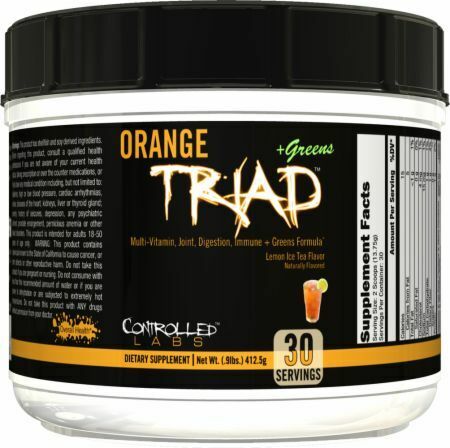 Apr 12, 2019Controlled Labs Orange Triad - 270 Tablets for $18.49 at Amazon! Dec 11, 2017Vitamin D For Sleep: 50,000IU Once Every 2 Weeks?! Nov 02, 2017Anavite and 1 Andro? $21.45 This is a Buy 1 Get 1 FREE offer! $29.08 This is a Buy 1 Get 1 FREE offer!